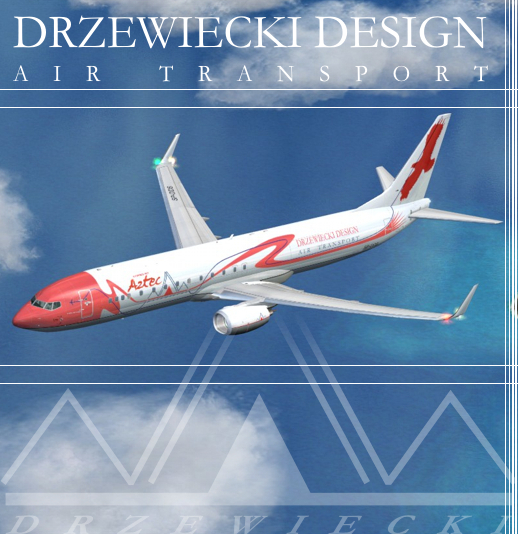 Drzewiecki Design Air Transport was an elite charter virtual airline established in 2007. It offered luxury passenger transport and cargo flights to various destinations around the world. DDAT's pilots were known for their professionalism, experience and reliability. Safety was their priority. All its flights took place online on Virtual Air Traffic Simulation Network (VATSIM) and were always booked in the Eurobook system in advance. You may also visit our Flights section or Vataware website to check other statistics for the airline and get some more detailed reports. There were two aircraft in its fleet: Boeing 737-900ER DDAT (a specially customized, extended range, cargo/passenger version of 739 that could board 40 passengers in a luxury class and up to 16 tons of cargo at the cargo hold) and Beechcraft B60 "Duke" - a small turboprop boarding 5 passengers, with a range of over 1100 nautical miles and a cruise speed of 235 knots. DDAT often organized various Events, including the annual Virtual Air Picnic in G?aszka EPGO airfield (near Warsaw city in Poland) and DDAT World Flights (very demanding events for the most experienced pilots). Since June 2009 Drzewiecki Design Air Transport was cooperating with a reputable, world-famous Aztec Airways, making 'combo' flights. Drzewiecki Design Air Transport does not operate since 2011. You can however search our archive for old events or flightplans.